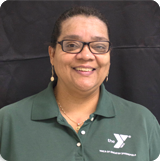 Our YMCA Learning Centers offer high quality early childhood educational programs to children 4 weeks to 5 years. We offer families the unique opportunity to participate in many extra curricular activities not found in most traditional child care programs. Realizing the importance of each step in a child’s learning experiences, our curriculum encourages physical, emotional and cognitive growth. We believe in focusing on each child individually and tailor our curriculum accordingly. We are proud to be accredited by the National Association for the Education of Young Children for maintaining the highest professional standards in curriculum and teaching qualifications. This accreditation let families know that children in our program are receiving the best care in early care experiences. This reinforces our mission of building strong kids, strong families and strong communities beginning with our youngest children. New England Farm Workers Vouchers are accepted. Limited scholarships are available for qualified families. EFT and Credit Card billing are available. Our curriculum is designed to promote and enrich early learning opportunities for all ages and abilities served. We utilize the Massachusetts Curriculum Frameworks and the Teaching Strategies/GOLD curriculum which are designed to focus on the individual needs and current interests of our children. The curriculum implements family home values, beliefs, experiences and language. Our curriculum plans will be posted in all classrooms and represents the children’s current themes of interest and activities. Our developmentally appropriate curriculum provides endless opportunities for exploration, experimentation and discovery to learn about the world around them – all while having fun at play! Our curriculum also gives teachers the opportunity to observe children regularly to find out what is unique and special about each child’s development. This information is used for planning experiences that will enable every child to grow and flourish. Assessments will be conducted twice a year based on Teaching Strategies 38 developmental goals which touch on social emotional, physical, cognitive and language development. Please call the program director for a tour and registration information. 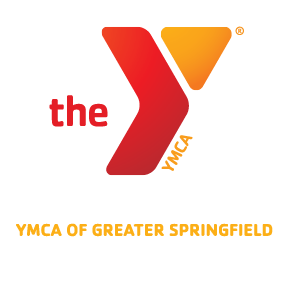 Enrolled families receive a 50% discount on membership to the YMCA of Greater Springfield.